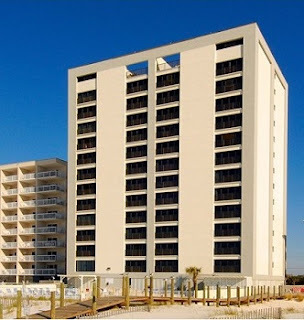 Gulf Shores beachfront condo for sale at Gulf Tower. This gulf-front property is rental ready, located on the east corner, the condo is an ideal real estate investment and/or second home. This residence features granite counter-tops, SS kitchen appliances, tile flooring, recently painted and more! Relax on the spacious, enclosed balcony as you listen to the gentle waves roll onto the shore. This beach resort complex is near the heart of Gulf Shores and features covered parking, enclosed balconies, a great pool, and incredible Gulf Views...come see this condominium!